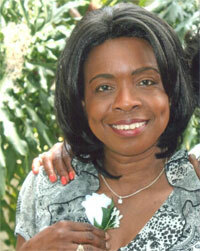 Pastor Rosemay T. Latortue, M.Ed., M.D. has been called to teach the Christian faith in the unique and beneficial manner of Messianic thought. Originally from the West Indies, Port-au-Prince, Haiti, and immigrated to the United States at a young age. With regard to medical practice, she studied at Washington University School of Medicine, in St. Louis MO. However, Dr. Latortue was ordained and mentored as a Minister of the Gospel in 1998 by the late Archbishop Benson Idahosa, founder of Church of God Mission International, based in Nigeria. Furthermore, she perfected her spiritual training at The Levite School of Worship, in Lakeland Florida. Fountain of Blessings is a distinctive ministry, founded on the true background and principles of the Christian faith, exposing the fact that Christianity is really based in deep Jewish history. Dr. Rosemay T. Latortue leads a Messianic fellowship of members who long to worship together, pray together, and watch over each other’s welfare while diligently seeking after God in truth. The Judeo-Christian ministry is a perpetual one. In teaching others to walk in this light, truly a Fountain Of Blessings will be opened in all of our lives, for cleansing from sin and impurity, in the Name of our Lord Yeshua. (Zechariah 13:1). Reynald currently serves as the Chief Financial Officer at Champions For Children, A Nonprofit Organization in Tampa, FL. As a Senior Level Financial Executive, he has extensive hands on experience in planning, analysis, and business leadership. He holds an MBA/CPA with over 30 years experience in senior management. He brings his strong conceptual and analytical talents coupled with proven human relations and supervisory skills to Fountain of Blessings. Together with a foundational faith and devotion to Y’shua, Reynald has demonstrated excellent stewardship, and oversight of church funds, property and equipment. 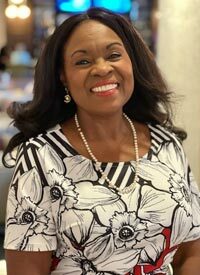 Mary presently works as a Food and Nutrition Services Coordinator for Hillsborough County, However, her true claim to fame is as an exceptional student instructor and devoted prayer warrior. As a Licensed educator, she provides instruction to our students in a strong Biblical manner, training up our children in the fear of the Lord. Tribute to Rev. Patrick G. Watson, M.D. Rev. Patrick G. Watson, M.D. together with his wife Dr. Rosemay T. Latortue originally founded Fountain Of Blessings. 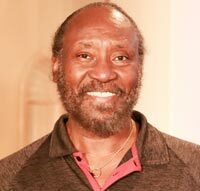 He was a native of Jamaica, a graduate of Marquette University and a physician in Internal Medicine. Rev. Watson studied the Hebrew roots of our Christian Faith at The American Institute for Advanced Biblical Studies. He was deeply devoted to teaching, and was convinced that every believer should obtain an understanding of the Middle Eastern Culture and the Semitic roots of Christianity. Dr. Watson walked with the Lord, and departed to the heavenly Jerusalem on October 12, 2014, the first day of the Feast of Tabernacles. He was a trailblazer for Fountain of Blessings, and the ministry which he founded continues undaunted.